Personally, I am Team Chocolate, but my husband is Team Vanilla. As for our kids, so far our oldest, Savy Preschooler is Team Chocolate and our middle child, Savy Toddler, is Team Vanilla. Since Savy Baby can't have ice cream, it's a tie in our house. What does that mean for our ice cream choices? It means that I always buy the Breyer's ice cream that is either chocolate & vanilla in the same carton or Neopolitian, which is chocolate, vanilla and strawberry side by side in the same carton. 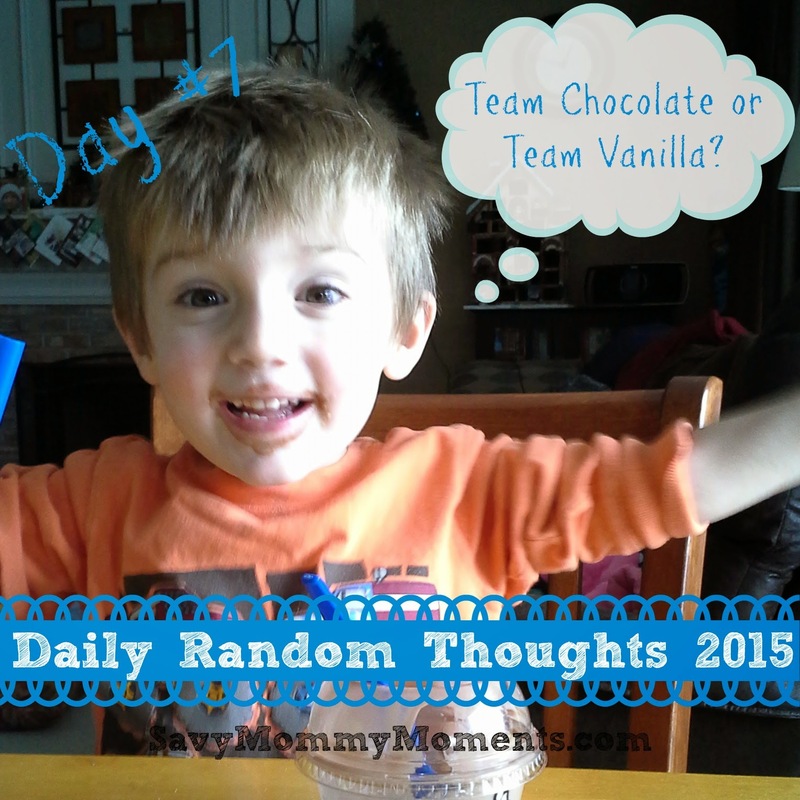 Are you Team Chocolate or Team Vanilla? Vote below! I hope you enjoyed Day #7 of Daily Random Thoughts 2015. Check back tomorrow for Day #8! Click here to catch up on the entire series. Make sure to follow me on FACEBOOK, TWITTER, INSTAGRAM and PINTEREST for lots of fun stuff and to stay up to date on new blog posts!